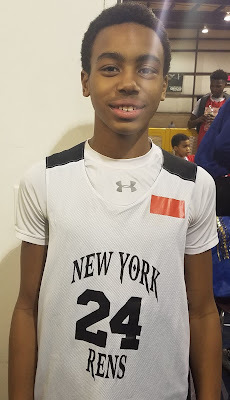 Dante Green Forward (NY Rens) – We feel this long wing forward has a bright future. Right now he is a mismatch and can do everything on the floor pretty good. Green can make shots all the way out to the three point line but is at his best slicing through the defense either in the half court or in transition. On defense he was playing on the top of the two three zone causing problems for opposing guards because of his length. We saw him tally 16 points in the game we watched. 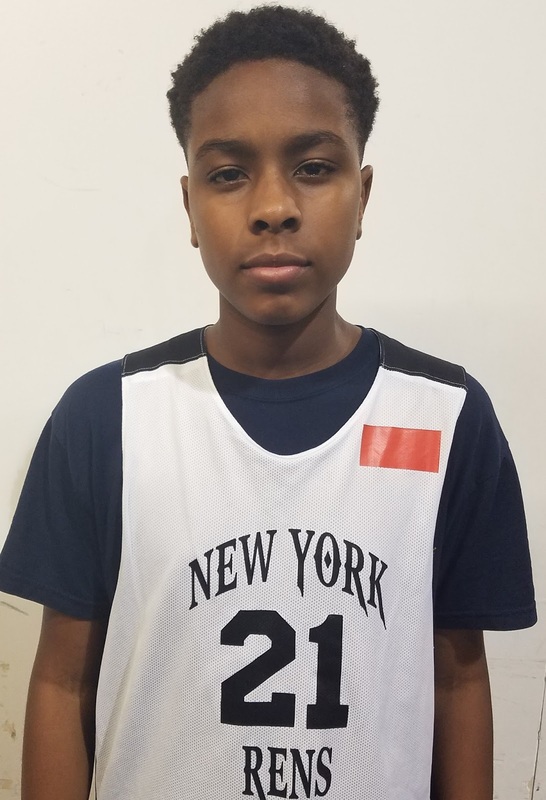 Mackenzie Mgbako Forward (NY Rens) – This forward has nice size and upside. He is more a prospect than a finished product but he is effective on both ends of the floor. He rebounds and finishes around the rim and clogs the lane on defense. We like his mobility and with continued skill development we see him potentially moving out to the wing. He hit a nice short corner jumper in the game we watched and finished with 10 points. 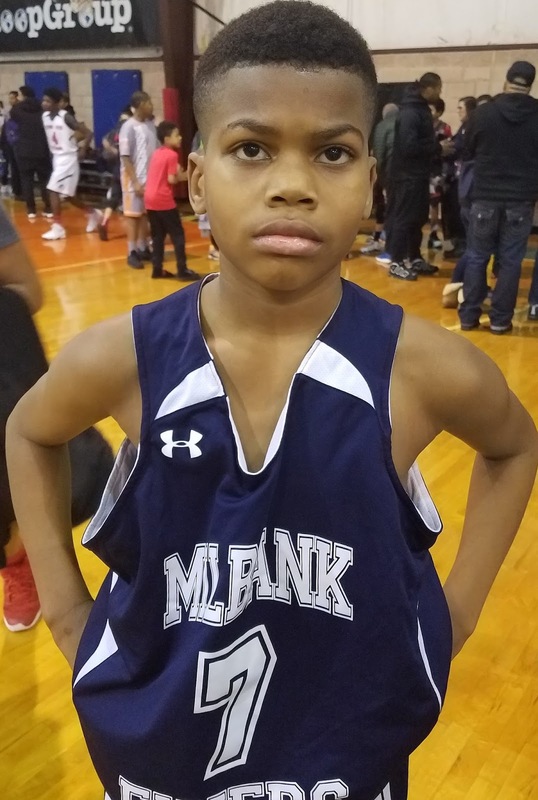 Imeru McManus Forward (Milbank) – Imeru is a load in the paint in the 6th grade division. He seems to get every rebound on both ends of the floor and finishes at a high percentage around the rim. On the defensive ends he alters and blocks a fair share of shots. He understands how to carve out space in the paint, seal his defender and receive the ball in his sweet spots causing his opponents to get in foul trouble. McManus shot a lot of free throws in the game we watched finishing with 16 points. 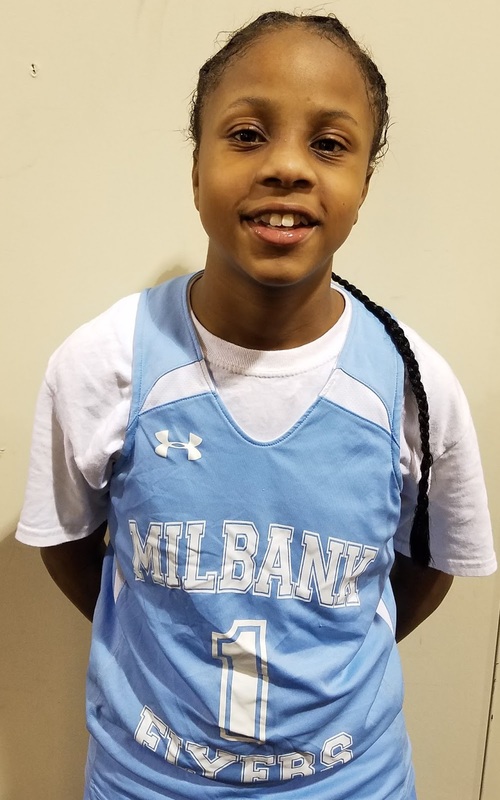 Chardonnay Hartley Guard (Milbank) – It is hard not to like this fiery point guard. She plays hard and is a great leader that communicates with her teammates on both ends of the floor. She is the ultimate floor general and competitor. Offensively she handles full court pressure by using her quickness and good ball handling to navigate through the defense. I like that she can handle the physical bump in the open court when the refs are letting them play. Hartley can knock down open threes and she also attacks the cup getting to the line at a high rate. She had 15 points in the game we watched. 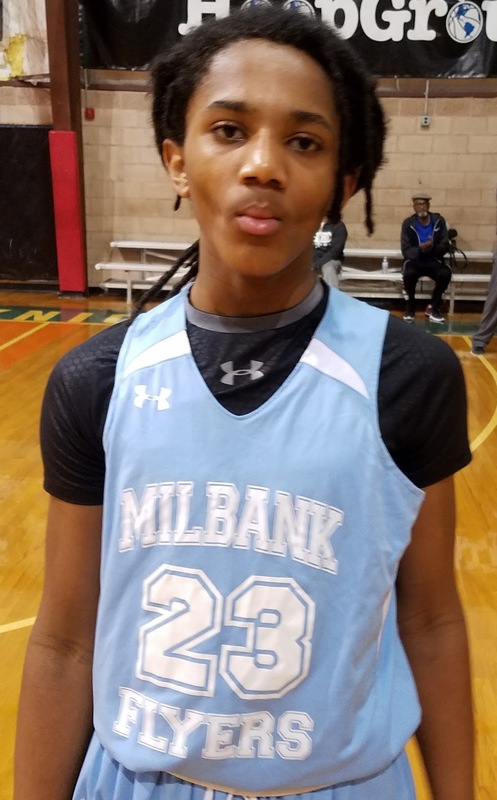 Karriem Thomas Guard (Milbank) – Thomas is a combo guard that plays in the backcourt with Hartley. He has no fear and attacks the basket hard. On the defensive end he applies full court pressure on the opposing guards and makes it hard for them to get the ball up court. He wears his emotions on his sleeve showing that he wants to win and will do anything his team needs to get that win. He tallied 10 points in the game we watched. 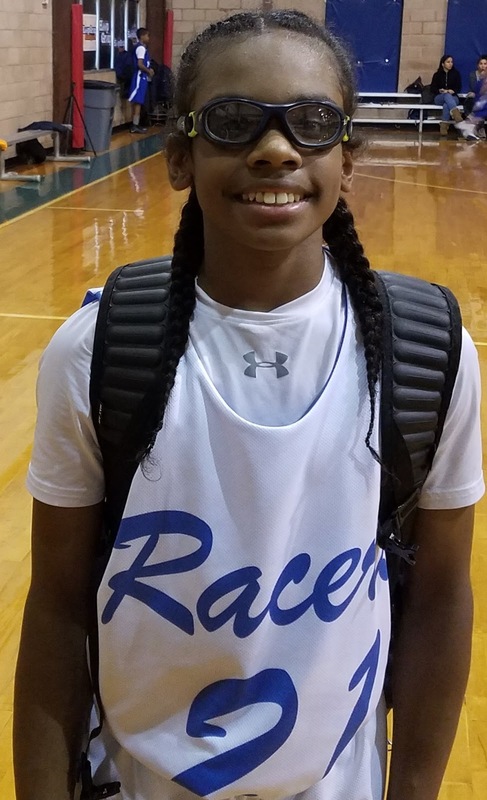 Joe Ganton Guard (NJ Racers) – Ganton is a crafty combo guard that has nice handles. This high IQ player is very skilled and can knock down the three ball at a high percentage. He understands where all his teammates are on the floor and when running the point and he finds them in scoring position. Right now he is at his best playing off the ball and looking for his own shots. He scored double digits in the game we watched. James Jackman Guard (NJ Racers) – Jackman is a downhill wing guard with nice size. He attacks the basket with relentless abandon and either finishes or gets to the line. Defensively James can guard multiple perimeter positions and he rebounds his position well. We like his approach to the game playing hard on every possession. 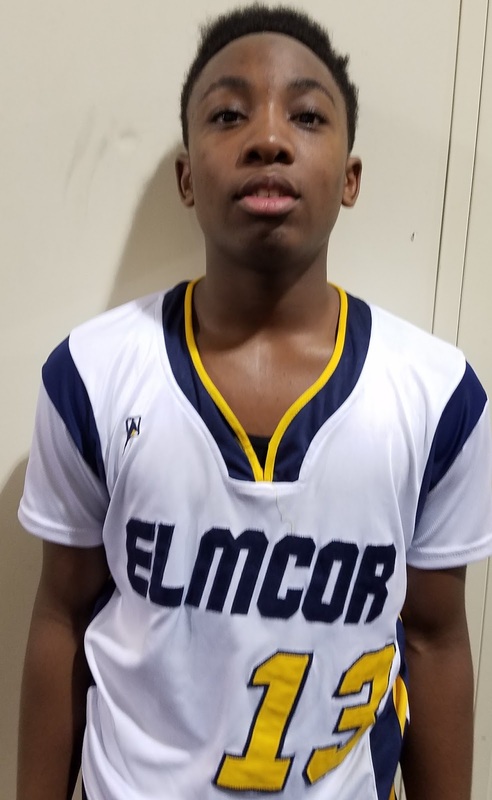 Dwayne Pennicooke Forward (Elmcor) – This power forward always seems to be around the ball when it comes off the glass. 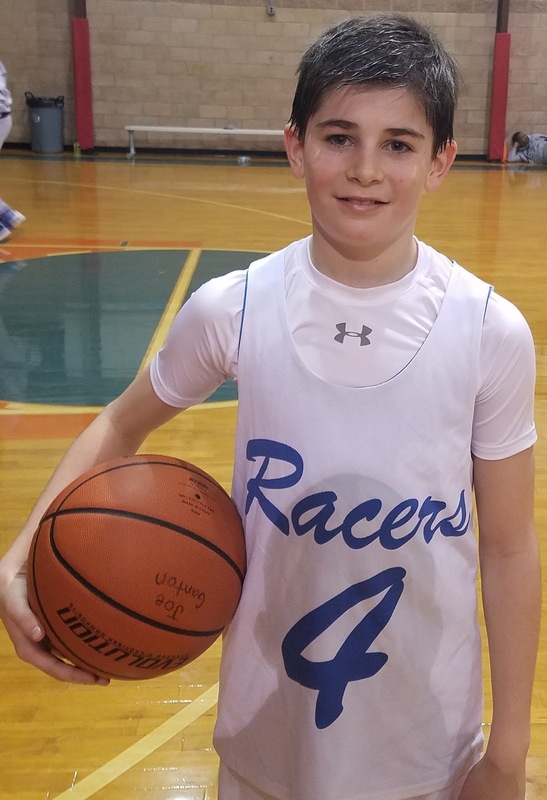 He was one of the better rebounders in the 6th grade division and he finishes around the basket in traffic. He can also handle the rock a little bit starting the break after he grabs a rebound. Dwayne is an aggressive defender and seems to take it personal to stop the opposing big man on the other team.